"Azimuth was founded in 2005 by two young Singaporeans with an eye for design and a passion for watches. 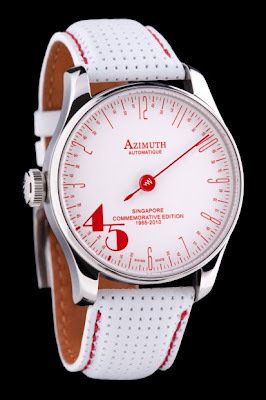 Generally speaking, Azimuth watches are designed in Singapore and produced in Switzerland. Prices range from $2,500 to $10,000 with some special pieces fetching as much as $100,000. Distribution spans the globe (20 countries), including the United States. 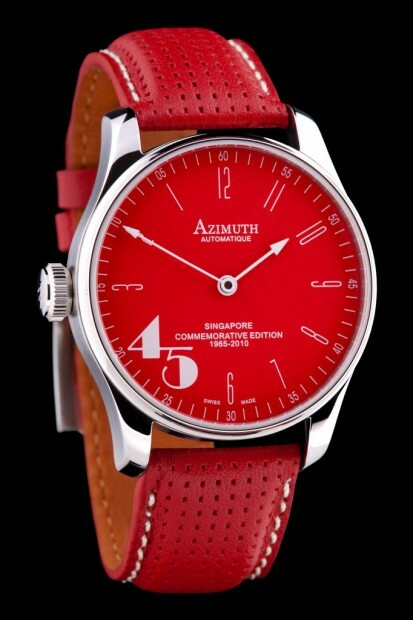 The collection is quite diverse, ranging from your usual “pilot’s watches” to eclectic pieces such as the Mecha-1."